Sandra “Sandy” Gay Dobkins was born on March 10, 1949 to Harvey Henry and Alice Bernice (Landenberger) Lampe in St. Francis, Kansas. She passed away on April 11, 2019, at the age of 70, at her home in Yuma, Colorado. 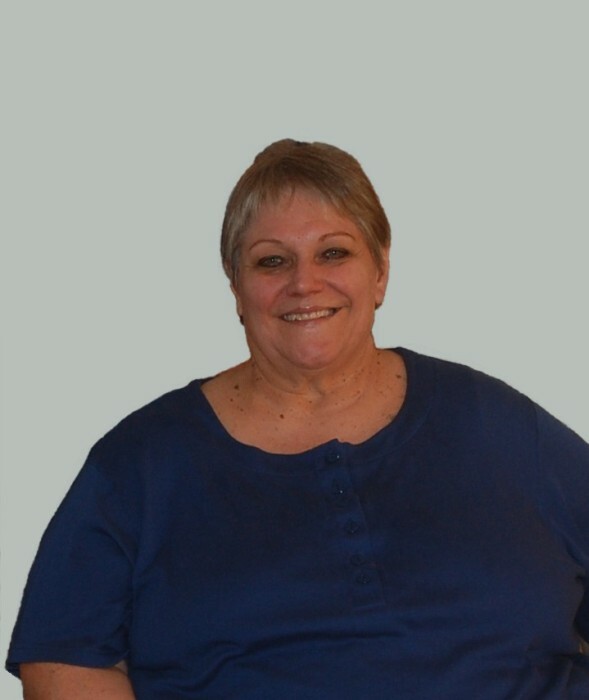 Following her High School graduation, Sandy attended Brown Mackie College where she received a business degree. On April 13, 1971, Sandy married Robert Dobkins at the Trinity Lutheran Church in St. Francis, Kansas and to this union one son, Curtis was born. Sandy and Robert were just short of sharing forty-eight years . Sandy worked as a secretary at Plains Irrigation and did housekeeping for Parrish Care (now known as Harmony Home). She loved music, bands and playing her accordion. Horses were her favorite animal. She was jolly and loved to make people laugh and enjoyed having visitors come to their home. Sandy taught Sunday School and in her early years she was in Home Economics. Sandy was preceded in death by her parents, Harvey and Alice Lampe. She is survived by her husband, Robert Dobkins; son, Curtis Dobkins both of Yuma, Colorado; brother, John Lampe; sister-in-law, Carol Lampe; In-laws, Ed ward Dobkins of Hutchinson, Kansas and Alda Loreg of Phillipsburg, Kansas along with numerous cousins, other relatives and friends. There will be a memorial service on Saturday, April 20, 2019 at 10:30 a.m. at St. John’s Lutheran Church in Yuma, Colorado with Reverend Dennis FitzPatrick officiating. Inurnment followed at the Yuma Cemetery. Baucke Funeral Home directed the service.